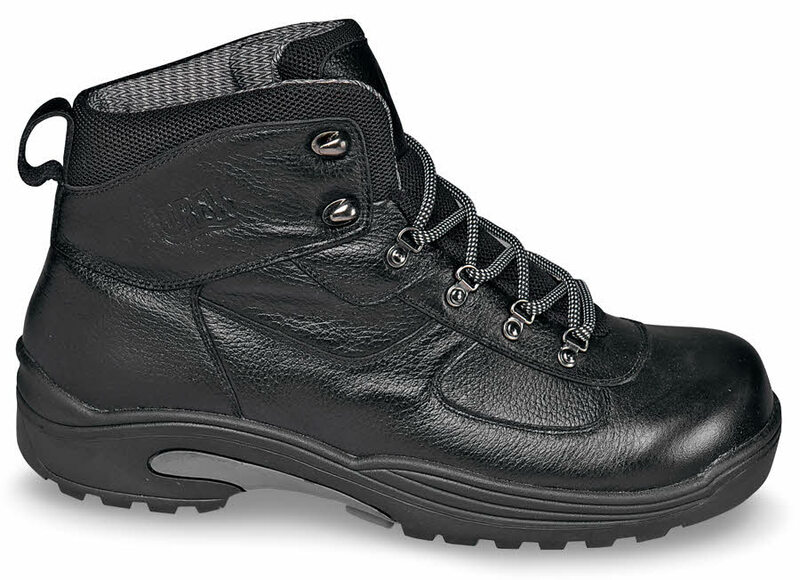 Drew’s waterproof black 'Rockford' boot has tumbled leather uppers with Thermolite membrane linings. Because it has added depth and dual insoles, you can wear your own orthotics with it or adjust the fit to suit your preference. 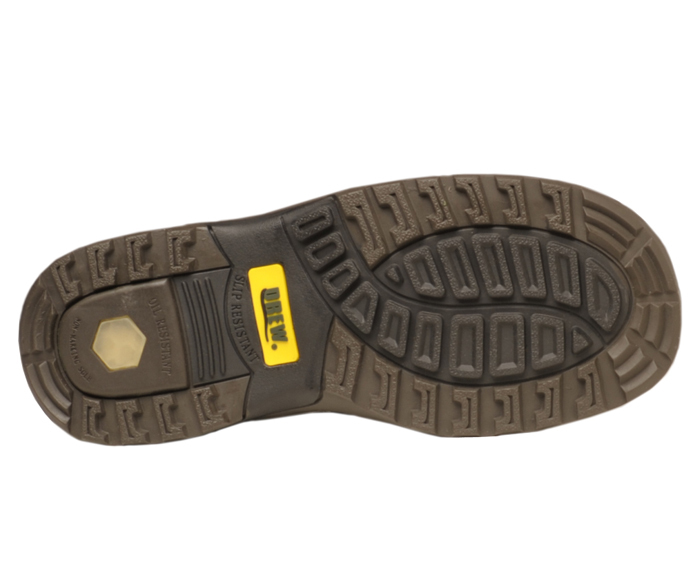 Oil-resistant non-marking rubber outsole. Steel shank. Men's sizes 8–13, 14, 15 and 16 in both 4E and 6E.